An ominous synth-rock classic about paranoid love. What happens when you don’t trust your lover – the midnight texts, the fights, the tears – the madness that results. 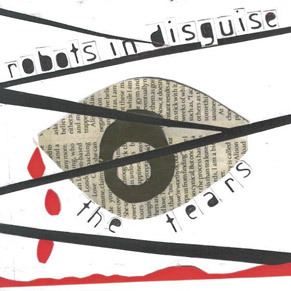 This hypnotic Cure-esque modern ballad is taken from the Robots’ acclaimed third album (We’re In The Music Biz) produced in Berlin by Chris Corner and comes with a warning to music lovers everywhere: Buy this single or the Robots will cuss you up! So much gratitude to send your way for ftuearing Enation on your blog, and giving them an opportunity of a lifetime with the Billboard exposure. I have felt for some time that they deserve a wider fan base their music should be heard! It is a rarity these days to find a band that puts their heart and soul into creating their music-and they appreciate their fans.Thanks again!